While my 6th-grade pal and I made ornaments last week, we also made some stockings. This was a quick and easy project to do with the middle schooler. Let me say that I do not want to be responsible for her finger getting sewn through by the sewing machine, so I did most of that work. But she cut and pinned letters and helped with lots of little tasks throughout the project. 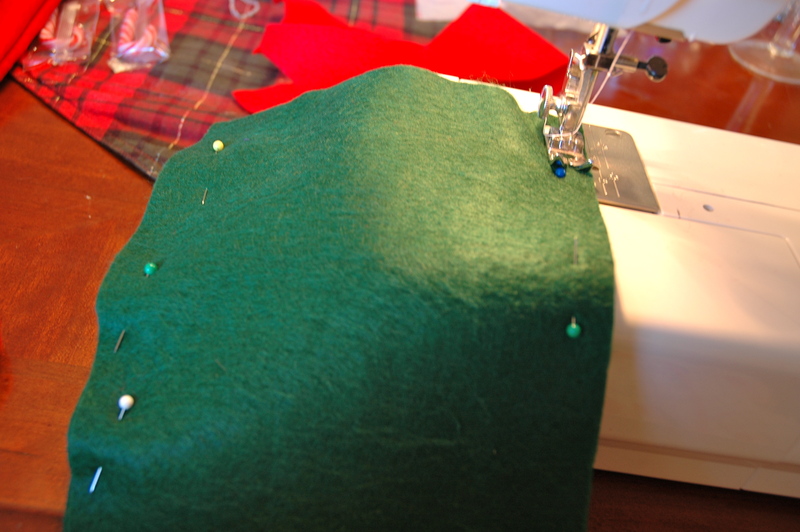 I bought a whole bunch of felt for this project, but I would bet we only used about 1/3 of a yard per stocking, probably less. 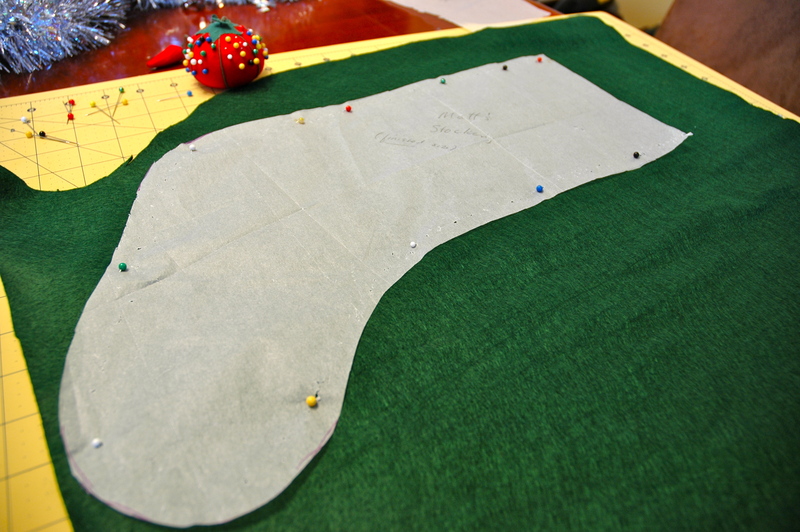 I simply traced a basic pattern and cut them out. Meanwhile, we printed giant letters off the computer. My little sis was able to cut these out, pin them to fabric, then cut out the fabric pieces while I sewed the stockings together. Then, we took a few shortcuts, which is what makes this a great project to do with a kid. 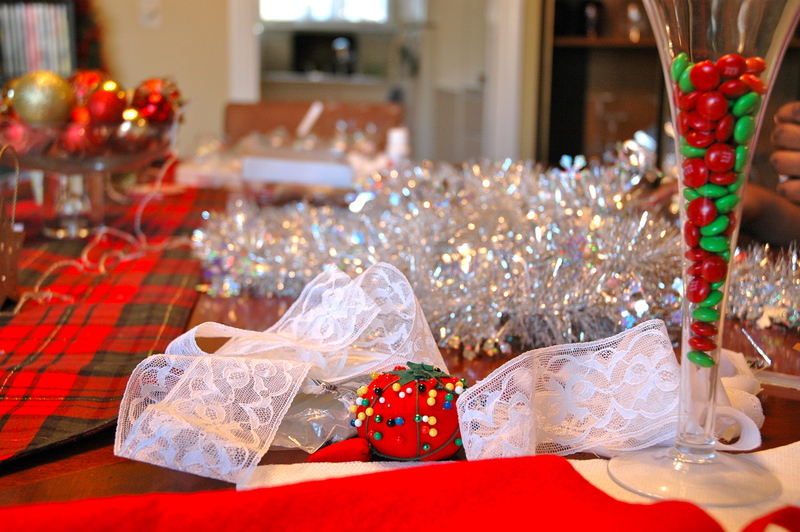 We pulled out the hot glue gun. 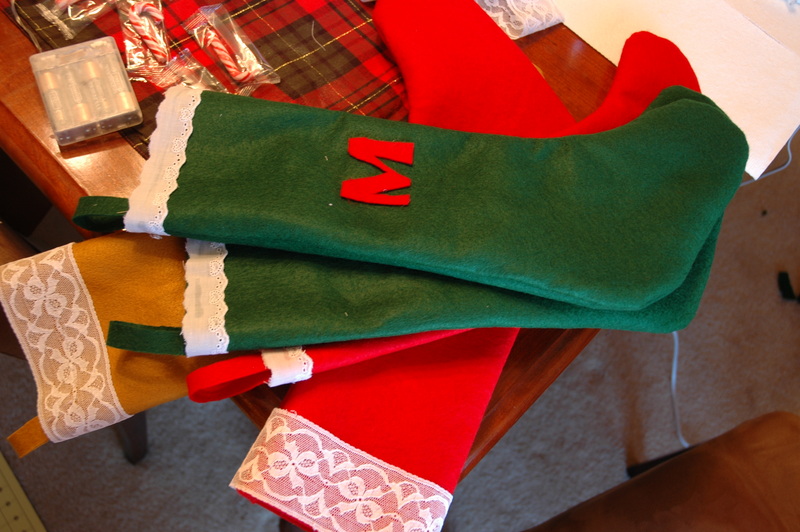 We very easily and simply hot glued the letters on each stocking, as well as some lace trim around the top. I finished them off by making just a little loop and stitching it to the top. This was a great project, which could be dolled up with a nicer cuff or a more intricate design on the front if you would like. 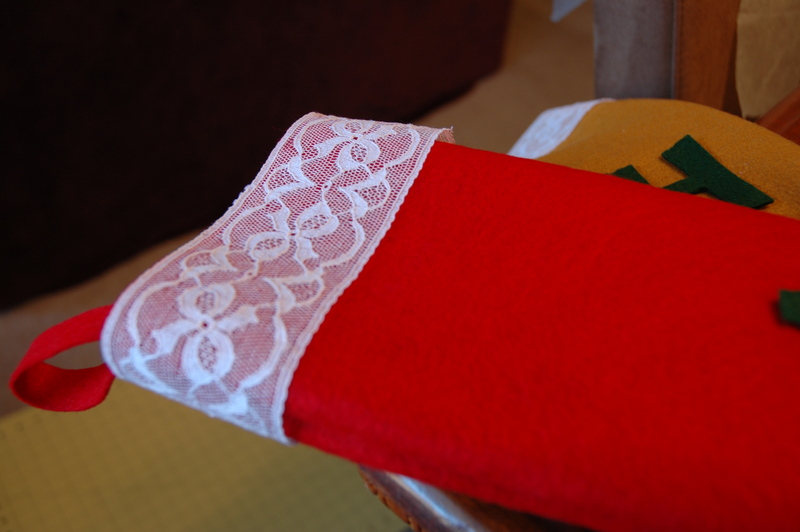 But I must say, the simplicity of it is what makes it so wonderful and homemade feeling.